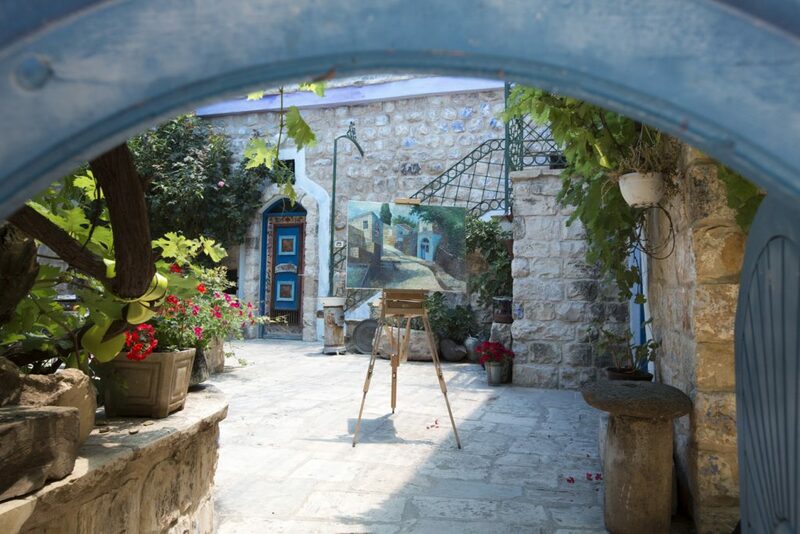 The picture shows the courtyard of an art gallery in Safed colorful lanes. Photo by Itamar Grinberg. Please join me for a very special trip to Israel! It will focus on Israeli art and artists! We will tour private studios, view art within historic synagogues, and visit marketplaces and museums. There will also be opportunities for sightseeing. 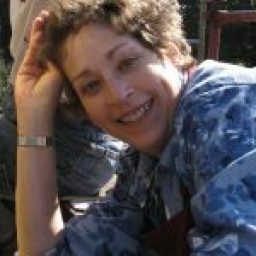 The American Guild of Judaic Art (AGJA), of which I am a long-time member, is sponsoring “Jewish Art and Israel 2019: Israel Study Tour”. I am the liaison between Makor, the tour group, and the public. This will be my first trip to Israel, so I hope it goes forward. The trip begins in Tel Aviv on November 4, and concludes with a festive dinner on November 14. The journey, ($2,675 double-occupancy, $3345 single-occupancy), includes breakfast daily and four dinners. The group will travel from Tel Aviv to the North and then south to Jerusalem, concluding back in Tel Aviv. The full itinerary, pricing, registration and other details are available here. The tour is open to current and new Guild members ($80) and Friends of the Guild ($50). Please contact me if you are interested, and share this with anyone else who may be interested.